Surprising mom on Mother’s day is not an easy task for any daughter, son or husband. A perfume or a dozen of roses might not be enough to express our love to her. A spa-day for the fourth consecutive year lacks creativity and dedication. She might not like the purse or pair of shoes that you thought she would love (although she will wear it anyways). 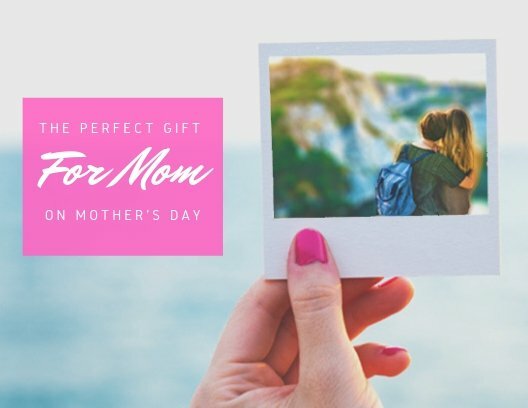 The perfect gift for mom should be something surprisingly special that requires you to think outside the box, to step out of your comfort zone, to leap into the unknown (just kidding, I went to far). With no further delay, let me introduce you to the most incredible present for your mother. The ideal gift for her is a weekend surprise trip at a mystery destination. What mom really wants is to spend time with YOU on her day. What would be better than spending the whole weekend with her, sharing memories, excitement and adventure? 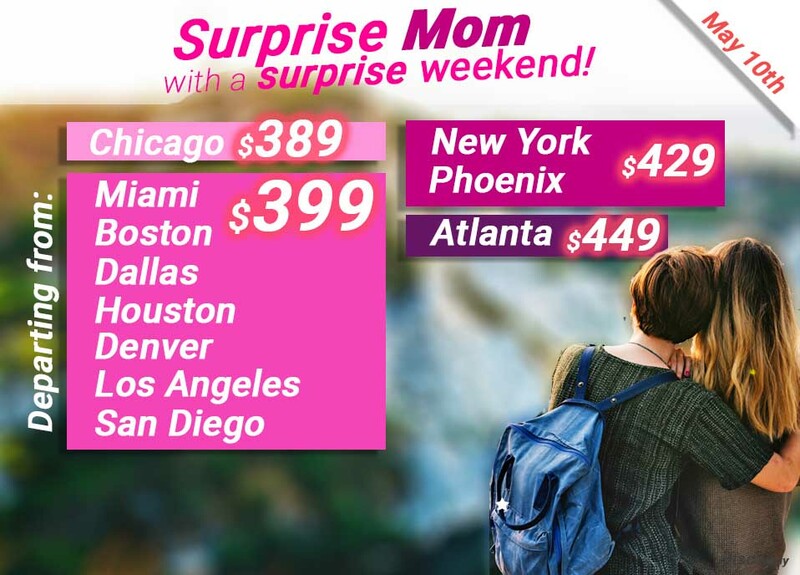 By booking a surprise trip, you are gifting not only mom, but yourself (the surprise is for you as well) an incredible experience that will last you a lifetime of memories. 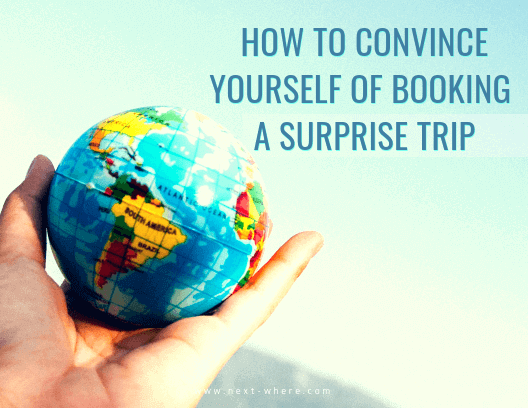 You may be asking yourself: What is a surprise trip? – Well the answer is within the question. 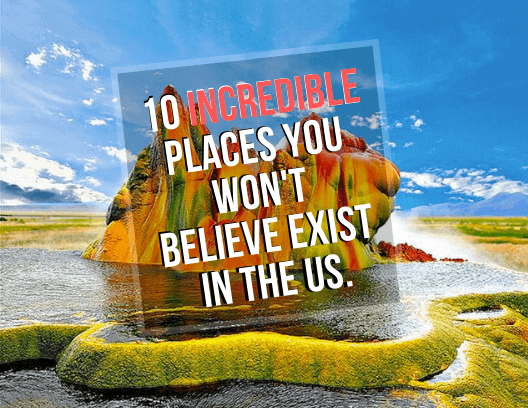 A surprise trip is a trip to a surprise destination. Ok... And how would I know what to pack? – Don’t worry. You would receive the weather forecast of your surprise destination a week before the trip, so you can pack properly. What’s included in the trip? – Round trip flights and 3 or 4-star hotel is included in the price. You would also receive access to a mobile app with a hand-crafted city guide of the destination with restaurants, bars, attractions and events happening on your weekend along with a scavenger hunt type of game that you could win prizes. That's Great! How much does it cost? - A lot of promotions going on, with trips start at just $389 pp. 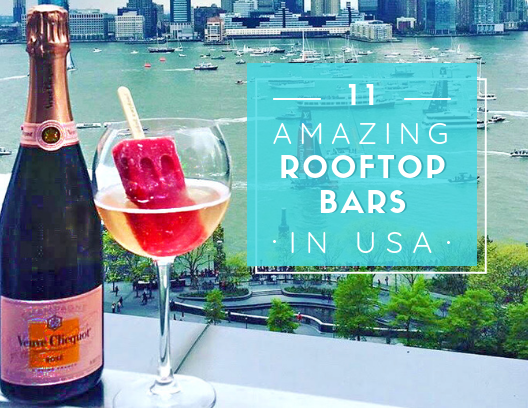 Now, slowly pick-up your jaw and learn how to book the best gift for mom ever. P.S: You’re welcome for making this Mother’s Day the most special one for you and your mom.